Two-color mold meaning two differernt plastic materials in the same injection molding tool, twice molding, but the product is only one mold . Generally this molding process is also called double color injection molding, usually by a set of mold, but the need for special two-color injection molding machine. 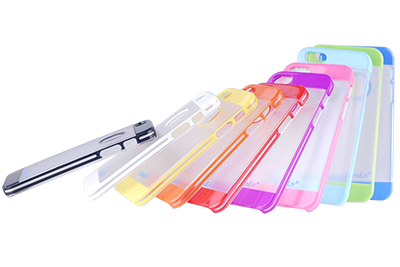 QL-Custom have skilled masters to mold the double color molded parts and meet various customers needs. Cavity of the two shapes are different, molding one product. The two shapes of Core are exactly the same. The mold front and back to the center of the rotation 180 °, must be die compond. This check must be done at design time. Pay attention to the position of the top hole, minimum distance 210mm. Large molds should be properly increased the number of top stick holes. Because of the injection molding machine itself with the top stick is not long enough, our mold must be designed to extend the top stick, top sticks grow mold base about 150mm. Two positioning loops must be designed on the back plate. The former mold panel plus A plate of the total thickness of not less than 170mm. Please carefully check the other reference data of this type of injection molding machine, for example, the maximum thickness of the thickness, the minimum capacity of the thickness, the distance between the top hole. Three plate mold outlet can be designed to be able to automatically self-stripping. In particular, attention to the soft nozzle outlet action is reliable. In the design of the second injection CAVITY, in order to avoid CAVITY inserted (or rub) injury has been a good product for the first time the plastic bit, you can design part of the shelter. But must be carefully considered the strength of each sealant, that is: in the injection molding, whether there will be a large injection pressure, the plastic deformation, resulting in the second injection may have the possibility of flashes.